Elite Glass Clear VPS - ZHERMACK INC. Medium bodied CLEAR Addition silicone used for making a clear matrix, which can be light-cured through, when preparing veneers. 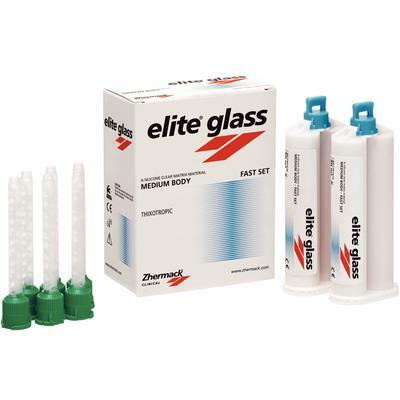 The new formulation of elite glass has been designed to create completely transparent molds, allowing a variety of cosmetic dental problems to be resolved quickly with excellent aesthetic results.